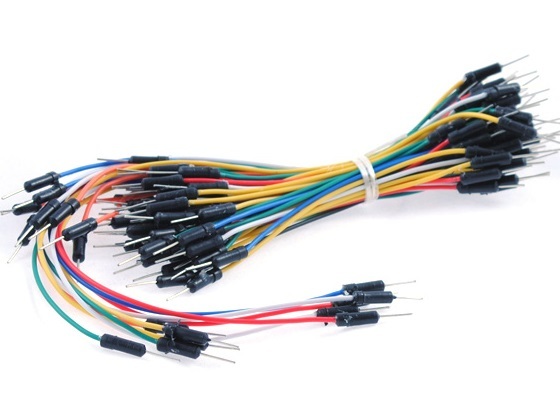 There are a number of general components that are useful for testing while you work out what you’re going to be able to fit into your vehicle.Â Something like jumper wires and solderless breadboard allow you to quickly try out prototypes while a good stock of resistors and transistors can allow you to quickly figure out the best configuration to drive the LEDs on your model. In addition spare Arduinos and motor drivers with headers soldered on so that you can push them into breadboard make it very easy to test a design before you start soldering. This is one of the most important things to have, you are going to try different circuits to overcome problems as they pop up so this is essential. You might want to get a couple of different sizes or choose one that you know will fit into a trailer so that you can test the vehicle while it is moving. 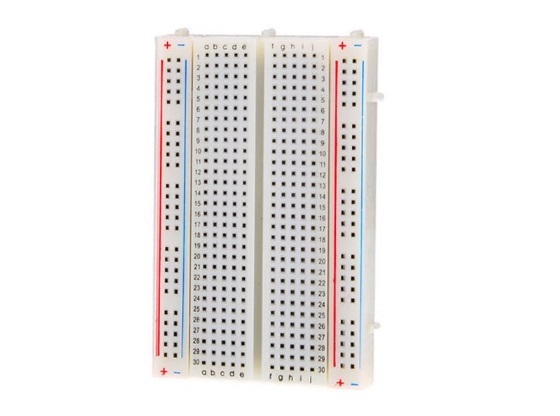 You will need these to build your circuit on the solderless bread board, you don’t have to buy them though as you could just use bits of wire from scrap electronics or buy a roll of hard wire and cut it to length. It can be useful to have a regulated power supply for testing so that you don’t need to keep charging batteries during testing. A word of warning though, most of the LiPo batteries can provide a lot of current quickly which may not be possible with the power supply. This is an issue when testing heavily loaded servo motors as the current draw to start the motor can cause a voltage drop which can reset you microcontroller. 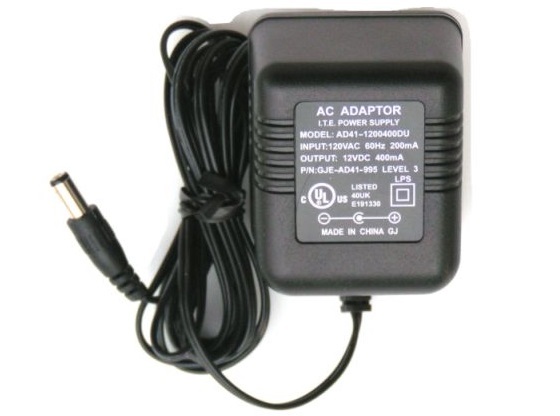 Make sure you choose a power supply that can easily provide the maximum power you will need. 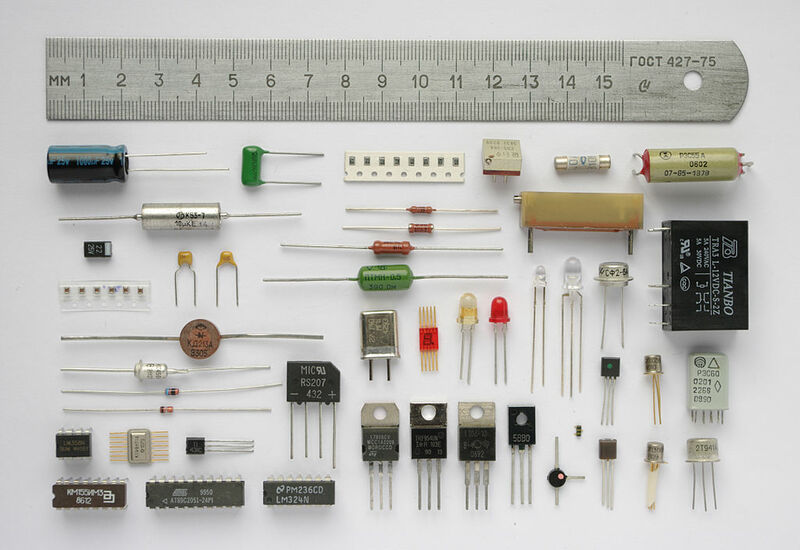 Your standard DC power supply usually comes in a fixed voltage which in most cases is around 9 V or 12 V. This is fine if you are connecting to an Arduino with a built in regulator but if you are connecting to devices with no regulator then you will need a power management circuit. 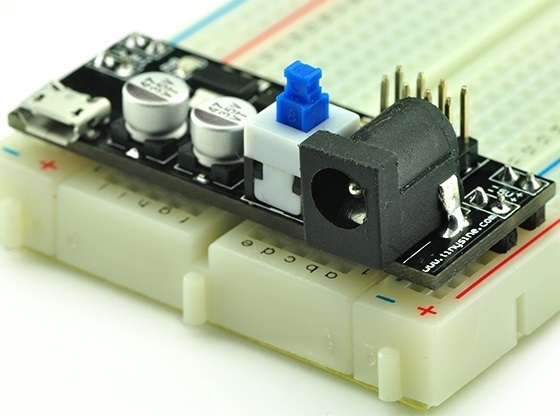 The most useful kind is a breadboard power supply module which contains a 3.3 V or 5 V regulator and plugs straight into a standard breadboard.